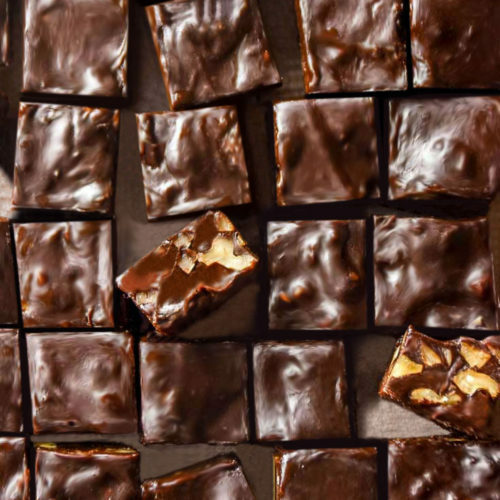 The BEST Low Carb Fudge Recipe — Easy, Chocolatey Bliss! The symphony of chocolate, cream, and crunchy chopped nuts is a dessert staple. And for good reason. It’s easy to throw together, a crowd pleaser for any event, any season, and is relatively inexpensive to mix up a family-sized batch. Adopting a low carb eating plan is not cause to abandon our chocolatey roots, it’s a reason to break out the baking chocolate and celebrate the glory of the cacao plant! I hope you enjoy my take on low carb fudge. 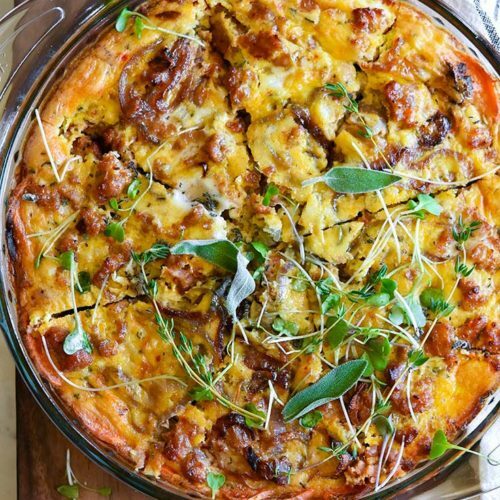 I seriously can’t get enough of it—let’s just say it’s one of those low carb recipes I have to hide from myself so I don’t finish the whole thing in one sitting! 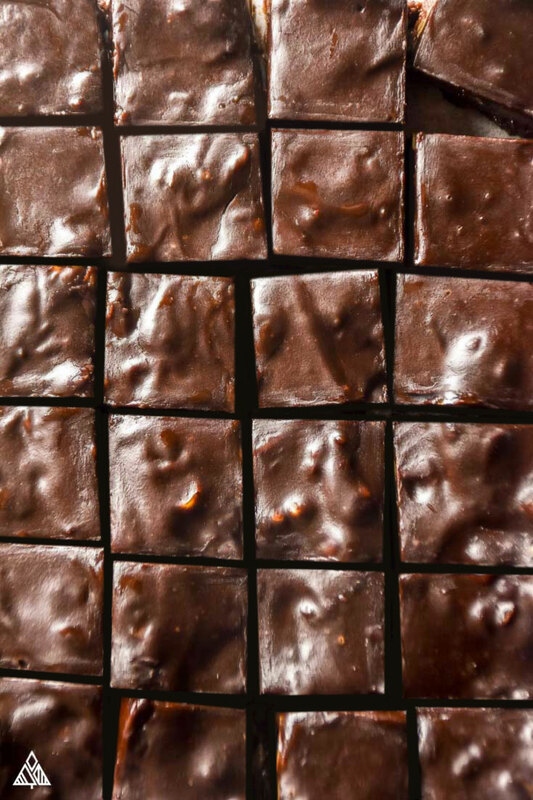 Traditionally fudge is made of a few simple ingredients: sugar, butter, cocoa, and milk. As you know, sugar is high in carbs, as is dairy milk. 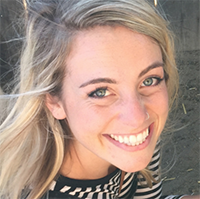 Neither of those fundamental ingredients are high-quality or beneficial to our bodies, and as such, traditional fudge often leaves us feeling uncomfortably stuffed, lethargic, and generally icky. 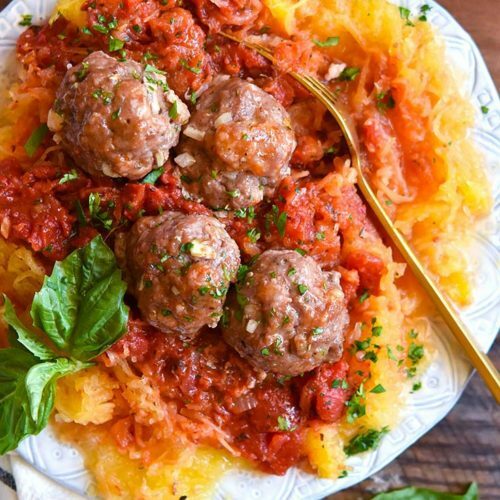 So, let’s ditch those nasty ingredients for some low carb alternatives. 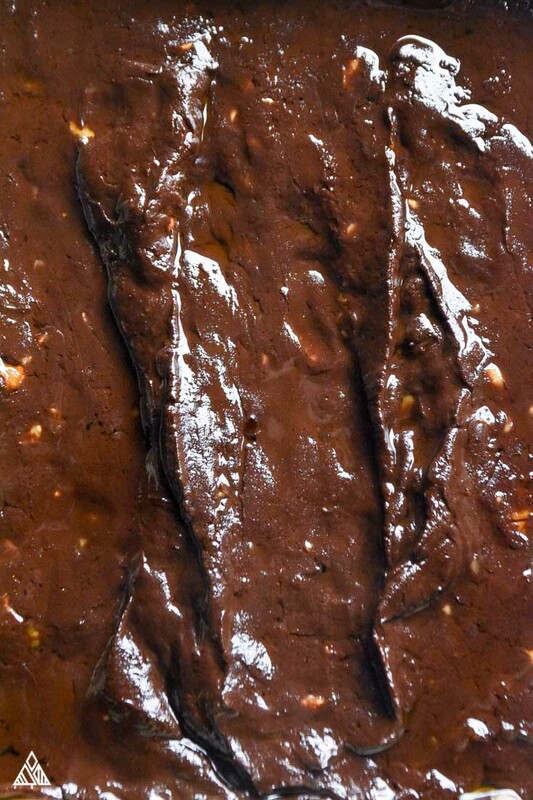 Here’s what we’ll be using in our low carb chocolate fudge recipe and why. Even without any added ingredients, our delicious friend chocolate contains some carbs, as carbs are one of the macronutrients of the cacao plant. You’ll see in the two recipes below that if you’re using unflavored whey protein powder, you’ll want to add more chocolate and sweetener vs. using a chocolate protein powder. I strongly suggest using either a chocolate protein powder or whey protein powder (unless you have an allergy) over other types of unflavored protein powder—because, to be frank, most other protein powders have an acquired (*ahem* FUNKY) taste…. For example, pea protein is super high in protein, but super gross. Trust me, it’s not dessert material, my friend. I do, however, love my vegan plant protein powder made by Garden of Life. It has an awesome flavor—somehow they were able to mask the pea protein taste! Good job guys! Moral of the story: stick with sweet, pleasing, creamy whey powder or chocolate protein to achieve the perfect dessert vibe. 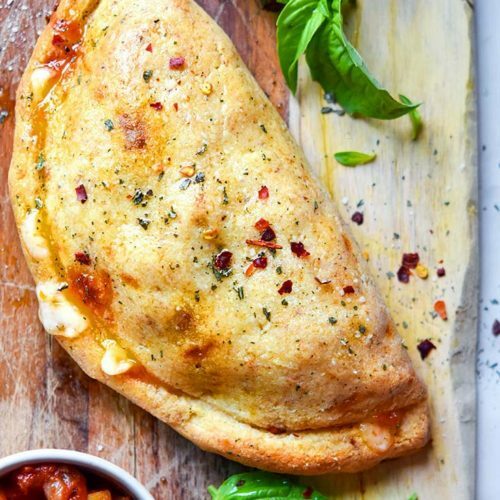 This ingredient is about to become your new best friend! My favorite brand is Swerve confectioners sugar, with is almost impossible to find in a good old brick-and-mortar store, so go straight to our friend Amazon to find this sweet deal. Another common type of fudge is cream cheese fudge. It adds an awesome texture, and helps to balance out the sugar in traditional recipes with a big ole serving of fat. Now I must say this isn’t my personal favorite, as it adds a strong cheese flavor—not exactly the impression I was hoping to leave with my fudge recipe—but a lot of people love it! 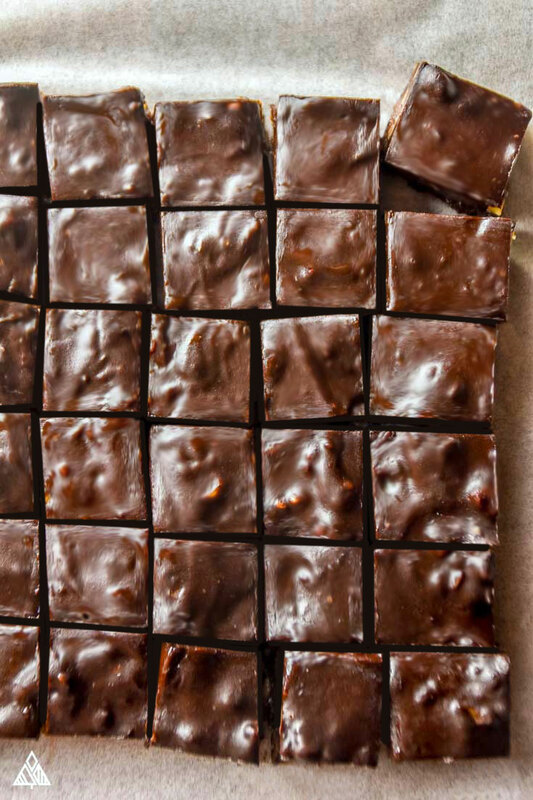 If low carb cream cheese fudge is what you’re looking for, try adding a spoonful into the center of your fudge squares while the mix is still hot and spin the ingredients around for a unique spin on cheesecake filled low carb fudge brownies! Or maybe the cheesiness could be tempered with a little more nuttiness: low carb cream cheese peanut butter fudge, anyone? For reference: an ounce of cream cheese has a respectable 1.6 grams of carbs. Not too shabby at all! In this recipe, I use almond milk because it’s sweet, light, and compliments the nut flavors alongside the keto fudge coconut oil. That said, you can use coconut milk, hemp milk, or any other low carb milk you have handy. Heavy cream is also surprisingly low in carbs—I know, the name is a little deceiving! As you can see from the reference below, regular dairy milk is not your friend while on a low carb meal plan. Who knew? I know what you’re thinking, why the heck doesn’t this recipe have peanut butter in it? 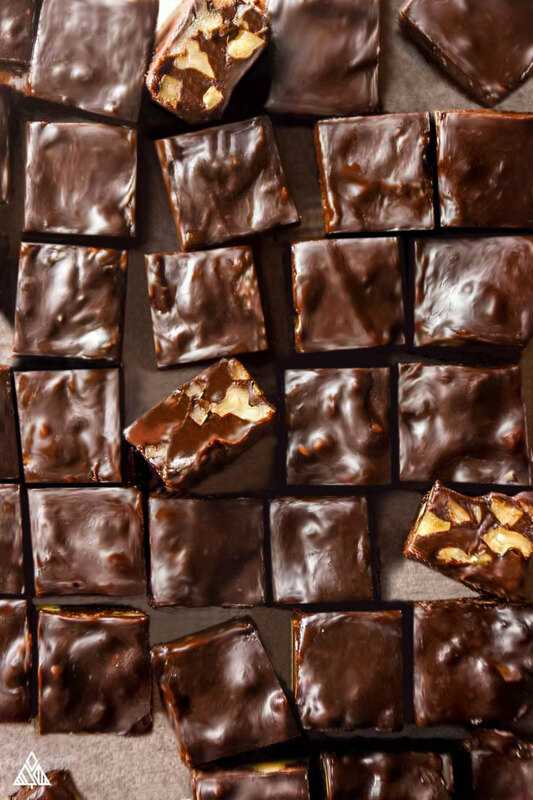 Honestly, I was craving chocolate too much to dilute the flavor in anyway—that said, you can easily add a couple dollops of peanut butter to make low carb peanut butter fudge if that’s what you’re craving. Or wait a couple month until my recipe comes out. 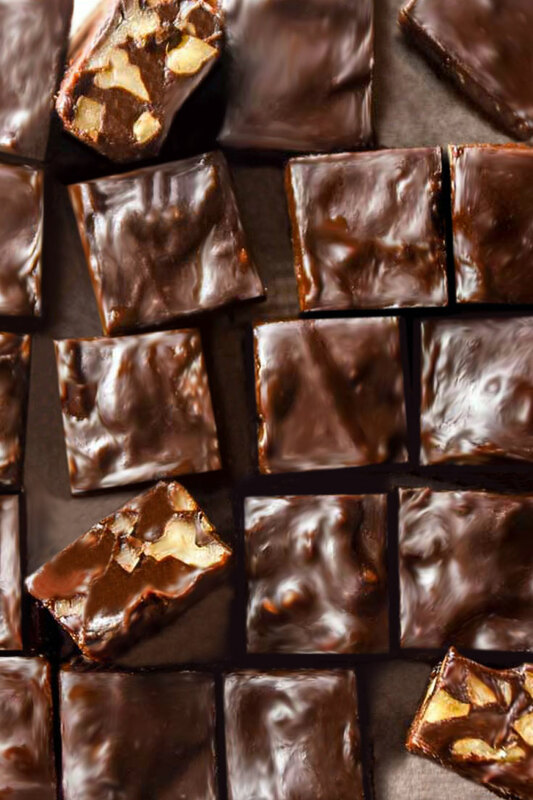 You can add whatever varieties of nutty goodness that you’d like to your fudge—I don’t judge. Unlike traditional fudge recipes, there aren’t a whole lot of techniques needed to make keto fudge come together. Yahoo! Pretty much as simple as: melt, stir, cool, cut, eat! Don’t settle for a low carb food list filled with flavorless and limited recipes that you resent eating. Life is for truly living, and food is for truly savoring! 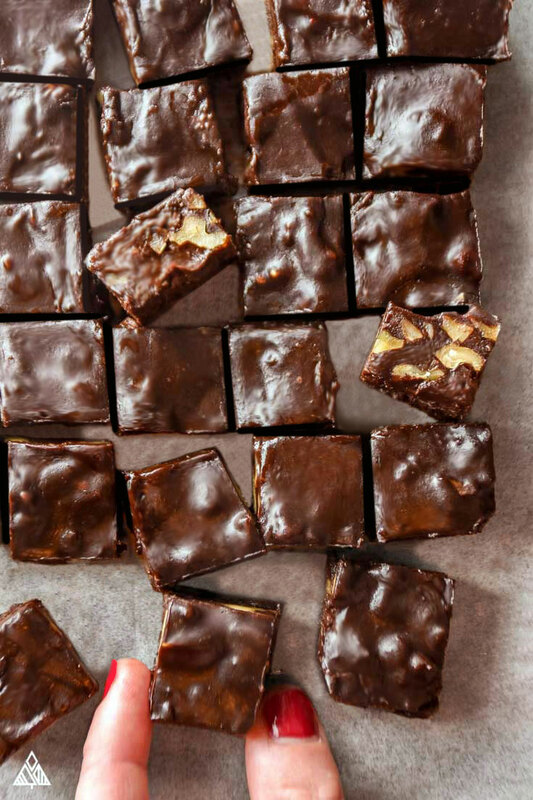 There’s nothing in this world quite like sinking your pearly whites into a soft and creamy square of fudge—and now, with this easy low carb fudge recipe, us low carb-ers can enjoy that delicious symphony of chocolate, cream, and nuts more than ever before! Add the milk, cream, and butter to a medium saucepan. Cook over a low heat until fully combined. Break the chocolate into squares and add to the saucepan. Stir frequently until the chocolate has fully melted. Remove from heat and stir in sweetener and chocolate protein powder. Then stir in walnuts until all ingredients are fully combined. Pour the mixture into a 8x8" baking dish lined with parchment paper. Let the fudge cool by placing dish into the fridge. If you'd prefer to use unflavored whey protein, then follow this recipe, but double your chocolate and use 3/4 cup of Swerve. Nutritional information will vary. From low carb fudge bars, to low carb hot chocolate, to low carb chocolate chip cookies: chances are, if you used to it after a breakup, there’s probably a low carb desserts recipe floating around for it. Check out some of our favorite joyful treats! I love sweets and comforting classics, as long as they start with body-loving and high-quality ingredients! This atkins fudge recipe is the ultimate low carb candy that helps me curb my sugar cravings and keep me on my low carb path! For more low carb candy recipes, check out our sugar free gummy bears, or low carb no bake cookies. Hi. Do you know what the net carbs would be? Fiber was not included in the nutrition facts. Thanks! What can you use in place of the protein powder?